Typing shipping and billing information on mobile devices can be a difficult experience, which is one of the reasons why 97% of mobile shoppers abandon their shopping carts. 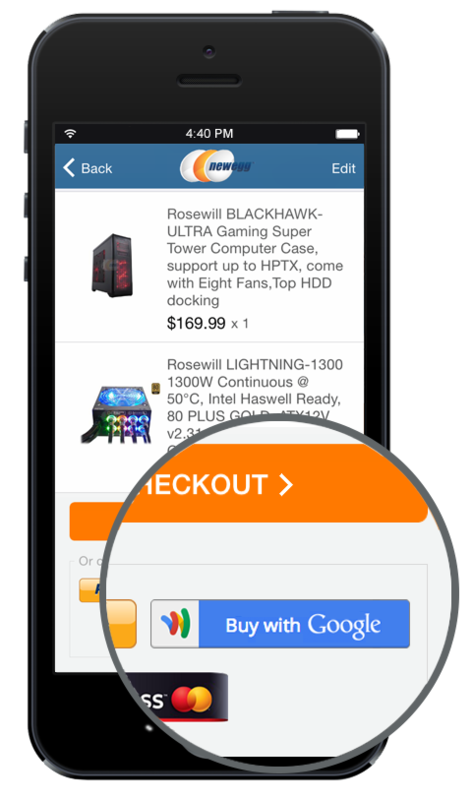 We introduced Google Wallet Instant Buy to make checkout on mobile sites and Android apps easier and help shoppers speed through the purchase process - often in as few as two clicks. Today we're bringing this same technology to iOS apps. iOS developers in the U.S. can now sign up to integrate the Instant Buy API and bring a fast and easy checkout experience across iOS, Android and web. RueLaLa saw a 4X increase in purchase conversion for Google Wallet users on their Android app after integrating Instant Buy. More than half of Google Wallet users came back and made repeat purchases within a matter of weeks. Eat24 integrated Instant Buy and saw that Google Wallet users had an 11% higher average order value than that of credit card purchases on their Android app. Fancy experienced a 20% conversion increase on their mobile and desktop sites, as well as Android app. We've been working with select early partners, including Wish, B&H, Eat24, Fancy, Newegg and Sionic Mobile to integrate Instant Buy into their iOS apps. We are excited to open the Instant Buy iOS API and welcome more developers to sign up today. Developers can now review the Instant Buy iOS SDK documentation and integration process. Integrating is fast and easy, with most merchants finishing the process in less than a week. Learn more about Google Wallet Instant Buy. For the latest Google Wallet updates, follow us on Google+.